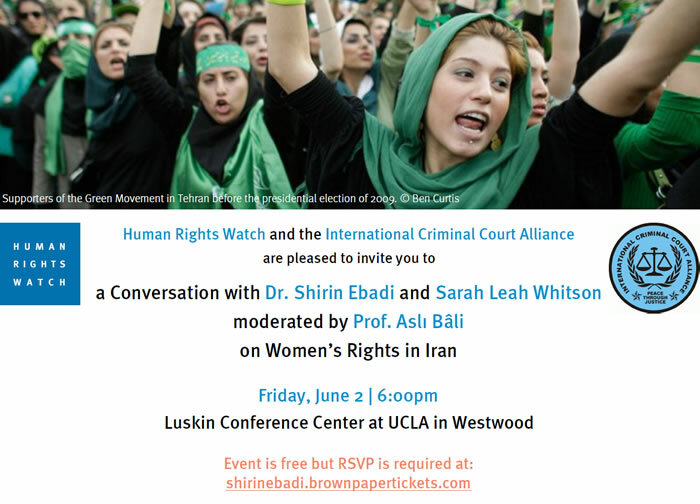 Shirin Ebadi's event at UCLA. moderated by Prof. Asl? Bâli . on Women’s Rights in Iran . Event is free but RSVP is required at: shirinebadi.brownpapertickets.com .